I consider myself extremely lucky when it comes to Stevie Ray Vaughan. He’s one of my all-time fave guitarists–right up there with Rory Gallagher and Jeff Beck–and I was fortunate enough to see him play live several times before his tragic death on August 27, 1990, at the age of 35. I’ve got all of his studio albums, his greatest hits packages, and his live DVDs–not to mention that wicked boxed set. I just can’t get enough of the guy. 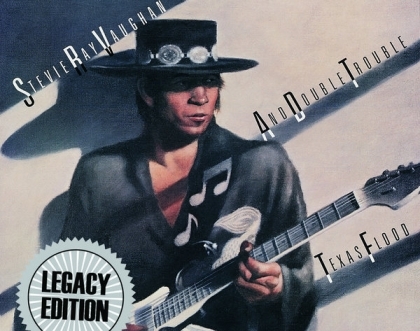 If you’re an SRV freak like me you should know that tomorrow (January 29) will see the release of the Texas Flood Legacy Edition, which–along with the original 1983 Texas Flood album (you’ve already got that)–includes a previously unreleased concert, recorded live at Ripley’s Music Hall in Philadelphia on October 20, 1983. That’s no real surprise, since Vaughan was the type of artist who gave his all every time he hit the stage. He told me that himself when I interviewed him in July of 1990. Vaughan was definitely trying that night at Ripley’s. His performances of then-new Texas Flood numbers like “Pride and Joy”, “Love Struck Baby”, and the title track are shiver-inducing, and his passion for Jimi Hendrix comes alive on “Voodoo Child (Slight Return)” and the “Little Wing”/”Third Stone From the Sun” medley.